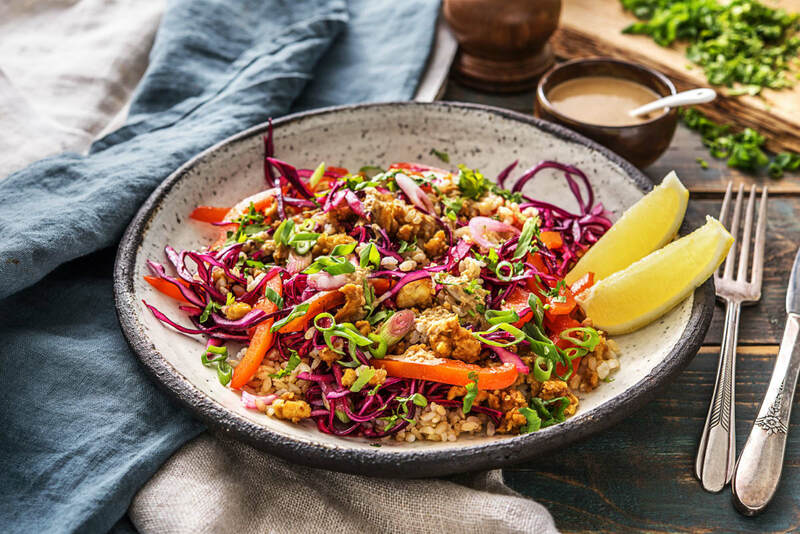 The star of this bowl is protein tempeh, made with fermented soybeans and cooked until crumbly and crispy, this special ingredient can please any crowd. 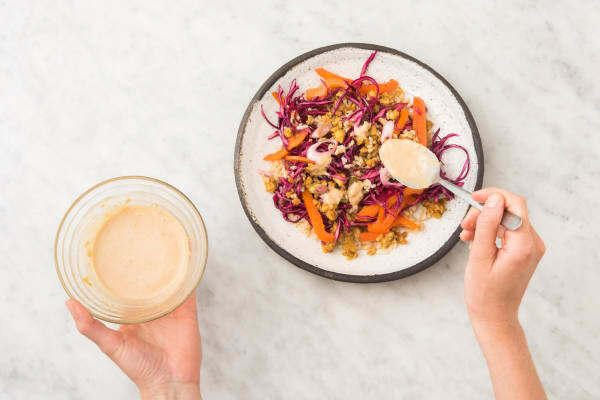 Drizzled with DIY tahini dressing, this veggie bowl is full of flavour! Tempeh comes in a dense, rectangular block. 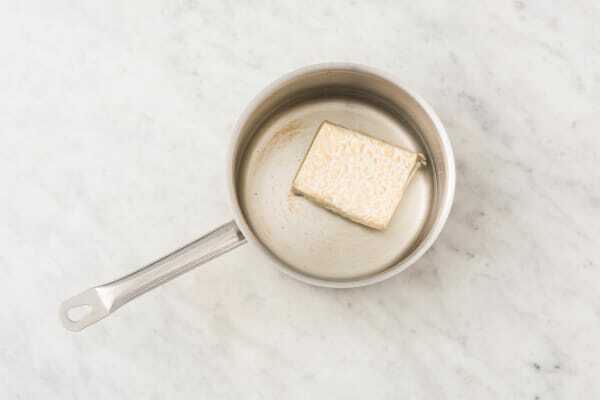 Boiling the tempeh in water before frying it will help soften and tenderize it for easier consumption. Wash and dry all produce. 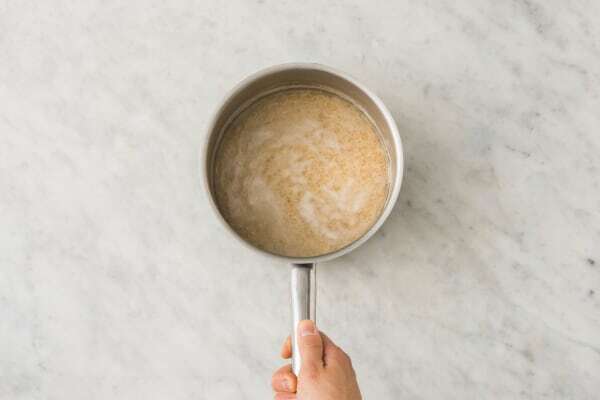 * Using a strainer, rinse rice. In a medium pot, combine the rice with 1 1/4 cups water (double for 4 ppl). Bring to a boil over high heat, then reduce the heat to medium-low. Cover and simmer until the rice is tender, 25-26 min. Remove the pot from the heat and let stand, 2-3 min. Drain any excess water. Meanwhile, in a small pot, combine the tempeh with enough water to cover (approximately 1-2 inches). Bring to a boil over high heat, then reduce heat to medium-low. Simmer until the tempeh is fork-tender, 8-9 min. Meanwhile, mince or grate garlic. Peel, then zest or grate 1 tbsp ginger. Roughly chop the cilantro. Thinly slice green onions, keeping the white and green parts separate. Core, then cut the bell pepper into 1/4-inch slices. Zest and juice half the lemon. Cut the remaining lemon into wedges. 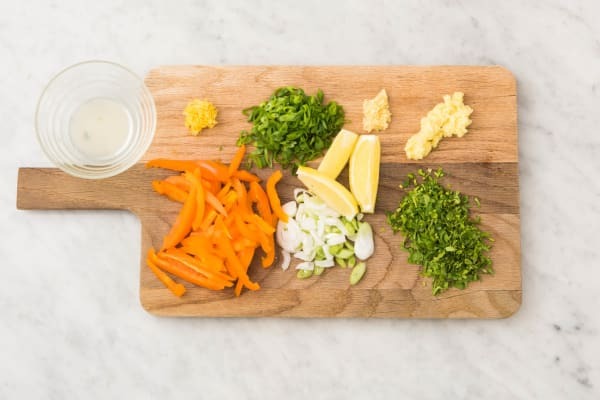 In a large bowl, whisk together the lemon zest, lemon juice and 2 tbsp oil. Season with salt and pepper. Add cabbage, green onion whites and pepper. Toss together. Set aside. 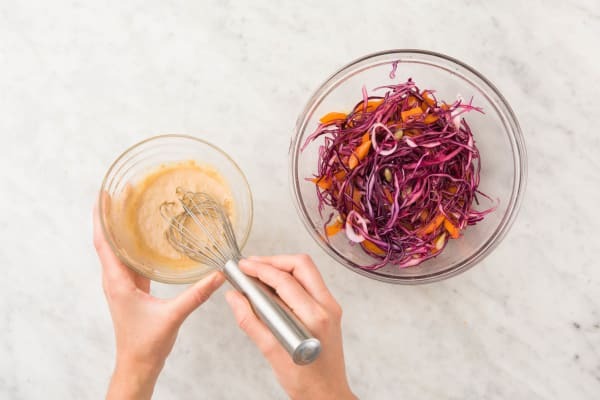 In a small bowl, whisk together tahini, half the garlic, half the ginger, 1 tbsp soy sauce, 1 tsp sugar and 2 tbsp water. Set aside. When tempeh is tender, drain and pat dry with paper towels. Heat a large non-stick pan over medium-high heat. Add a generous drizzle oil, then tempeh. 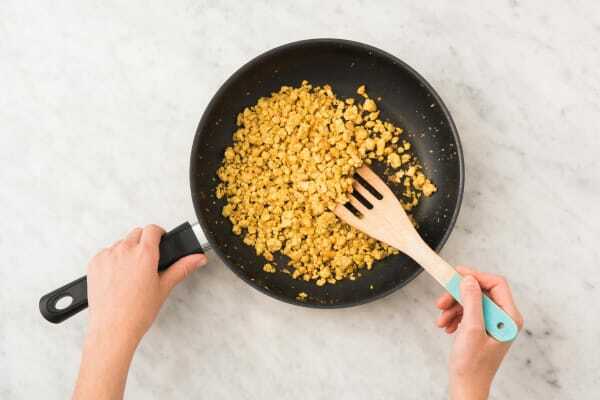 Using a potato masher, break tempeh into smaller pieces. Add remaining garlic and remaining ginger. Cook, stirring occasionally, adding another drizzle of oil if pan gets dry, until golden-brown and crispy, 8-9 min. Sir the remaining soy sauce into the tempeh. Divide the rice, veggies and tempeh between bowls. Drizzle over the tahini dressing, then sprinkle over the onion greens and cilantro. Squeeze over a lemon wedge, if desired.